On 6 September, Asif Ali Zardari, co-chairman of the Pakistan Peoples Party (PPP), was elected president of Pakistan. 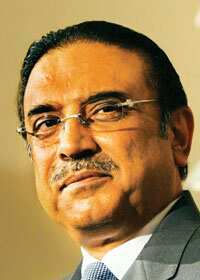 Zardari’s victory means that the PPP—having outmanoeuvred the Pakistan Muslim League-Nawaz (PML-N)—now controls both the presidency and the coalition government, and has a fragile majority in the national assembly. Despite this advantage, the government will face major challenges in the coming months that could put its long-term survival at risk. Economically, Pakistan is facing a crisis with the spectre of sovereign default haunting the government. In August, its reported foreign exchange reserves fell below $9.4 billion (Rs44,180 crore today), and the PPP-led government needs to secure significant foreign assistance. While Saudi Arabia is likely to offer a multimillion-dollar oil facility and provide budgetary support, the International Monetary Fund (IMF) has outlined tough political and economic conditions in return for a soft loan. The government is reluctant to accept them because it fears a backlash from the public. Failure to secure an IMF loan, however, would deepen the economic crisis by the end of the year. The author, Maria Kuusisto, is Eurasia Group’s Asia analyst.